Belle Green Wise has developed Aura Pack, a film that helps to keep vegetables fresh. The freshness-preserving effect is achieved by controlling evaporation through molecular activity, and controlling excess respiration. 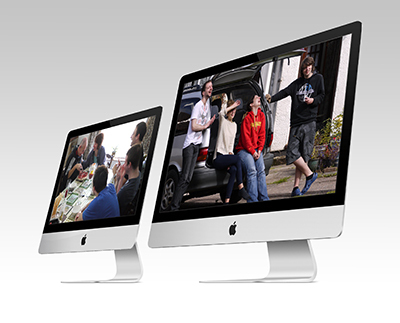 "Aura Pack has three features. 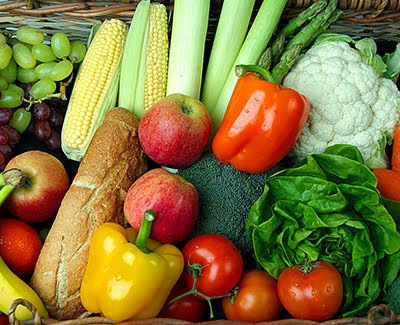 The first concerns the fact that vegetables have a water content of at least 90%. As long as water isn't lost, they stay crisp and fresh. If vegetables are wrapped in this film, it's hard for water to evaporate. The second feature of this film is, it controls respiration. Like people, vegetables take in oxygen and release CO2. The more congenial the environment, the more stable this process is, making it harder for vegetables to get bruised. In a pack, it's possible to create a congenial environment. The third feature of Aura Pack is, it resists condensation, so it's hard for moisture to form. As I mentioned earlier, if vegetables don't lose water, it's hard for water droplets to form on the film." Leafy vegetables like spinach can be kept fresh for 2-3 days longer with Aura Pack. In long-term storage, persimmons sealed in the film last for 3-4 months. It can also be used to adjust shipments, so persimmons picked in November can be eaten in April. 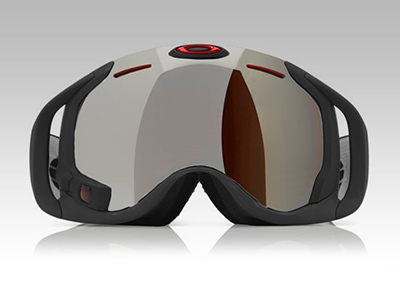 Arriving in time for the holidays — not to mention the snowboarding/skiing season — the Oakley Airwave makes use of the latest HUD technology from Recon Instrument — giving riders an in-depth reading of information including distance, airtime, temperature, speed and altitude. The goggles will also be able to connect to mobile devices via Bluetooth, showing incoming calls and text messages — while at the same time, allowing full control over the device’s music player. 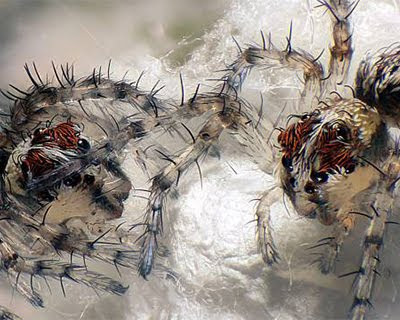 Nikon has announced the winners of their classic photomicrography competition. All the entries are spectacular, but these are the very best. Like a giant version of one of those wooden puzzles you have to figure out how to assemble, J.P. Meulendijks' Bamboo Lock Table is held together in a manner that will have your dinner guests scratching their heads. The three sections that make up the table's frame are assembled from layers of bamboo strips sandwiched together, but only secured at the ends so they can bow out in the middle. This allows them to hug each other in a beautiful three-way leg lock that almost looks like an optical illusion. 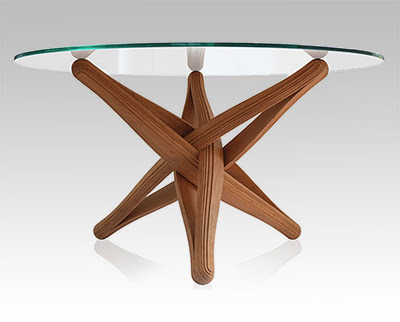 And it can be yours for just over $2,500 with a glass top, or $2,700 if you opt for a matching bamboo dining surface. Nithin Mathews, Anders Lyhne Christensen, Rehan O’Grady, and Marco Dorigo are researchers from Universite Libre de Bruxelles and Instituto Universitario de Lisboa and they are leading us down the primrose path towards human extinction. More precisely, they’re using a method called spatially-targetted communication. The flying robot selects ground robots and communicates with them by changing LED colours. Once the airborne robot sends the right signals to the ground robots, they can work together to move over and around obstacles that the ground robots cannot see. Most important is that the only wireless communication required are the LEDs used for signalling. The flying robots tell the ground robots to do what they do best – self-assemble – and then guide them where they need to go. You have to see the video to understand it, it’s serious robot interaction. The method requires no GPS, no maps, and no outside control. The flying robots just need to know what the environment looks like and the ground robots just have to follow orders. For more info, including a video of the keynote address, click here. 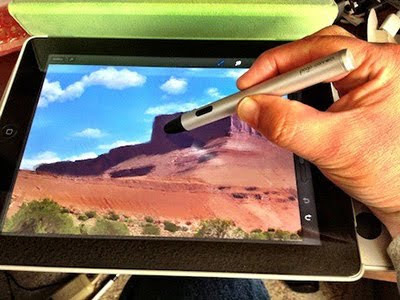 TUAW has produced a review of TenOne Design's $80 Bluetooth 4 stylus. "Artists using the iPad to create their artworks now have a 'brush' that is like no other in terms of its flexibility, sensitivity and similarity to traditional artists tools." "TenOne chose to use a readily available replaceable battery. 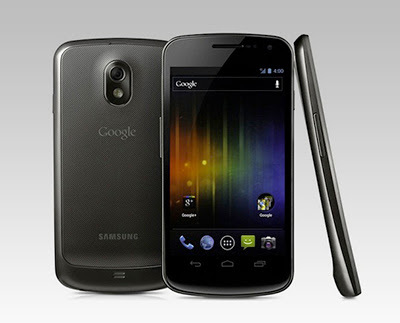 The battery allegedly lasts for months, and when it loses charge it takes less than a minute to replace." "The Pogo Connect uses the Bluetooth 4 standard to connect to your iPad, so it's primarily designed for the third-generation iPad. 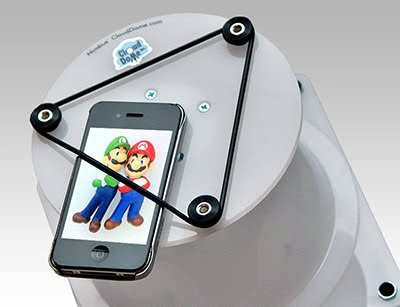 If you want to use the Pogo Connect with an earlier iPad and you have an iPhone 4S or 5, there's an App called Pogo Bridge that can be used to link your iPad 1 or 2 with the stylus." "I found the sensitivity of the Pogo Connect to be light years beyond any other pressure-sensitive iPad stylus I've tried so far. The sole button works as an undo button." "The LED in the undo button changes to approximate the color of the 'ink' that you're currently using. It's an amazing way to get the digital equivalent of a glance at the 'paint' on your 'brush'." "The larger screen means that the Nano’s overall size and weight have increased, stretching from 40mm to 76.5mm in height, and going up from 21g to 31g in weight. However, it’s also quite a bit thinner than before, slimming down from 8.8mm to an extremely svelte 5.4mm." "It’s like a having a little musical credit card in your pocket. And like all the best Apple products it has that tactile elegance that makes you want to pick it up and roll it around in your hand just so that you can admire the way it feels." "The new screen isn’t in the same league as the 'retina' display on the new iPod Touch, but it’s fine for the device’s icon-based graphical interface"
"The iPhone earpods have received somewhat faint praise in the reviews I’ve seen, but I have to confess they sounded better than I expected. The Nano puts out a decent sound with any other headphones you care to plug into to its 3.5mm socket." "Battery life is improved, up from 24 to 30 hours for music playback." They're calling it 'The world's most versatile camera', and it's hard to disagree. 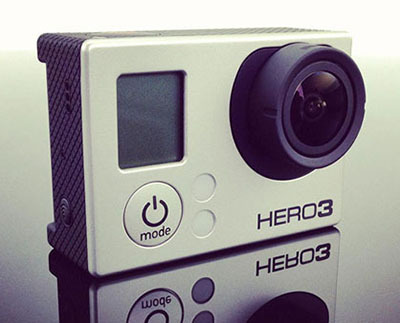 At midnight yesterday/today GoPro began selling their new model, the Hero3. I don't know what kind of black magic they've got going on in their labs, but the thing is 30% smaller than the previous model and weighs just 2.6 ounces. Tech stats: Waterproof to 197' (60m), capable of capturing ultra-wide 1440p/48fps, 1080p/60 fps and 720p/120 fps video and 12MP photos at a rate of 30 photos per second. Alan Gibbs is an entrepreneur from New Zealand, and for years he's dreamed of mass-manufacturing an amphibious car. He knew it would work; he successfully built a one-off for himself, the Aquada, nearly two decades ago. But after setting up a company to mass produce them, he ran into problems ranging from engine supply to U.S. automobile laws. So Gibbs changed tack. By creating a smaller, ATV-like vehicle not subject to automotive laws, his dream vehicle was realized, albeit at a slightly smaller scale. 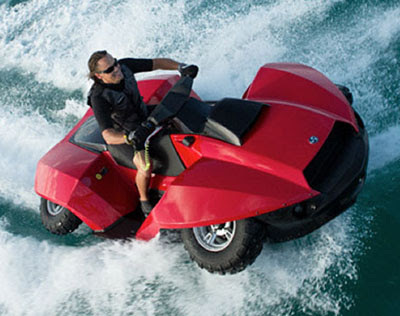 His new product is called the Quadski, and it's going on sale later this year for $40,000. 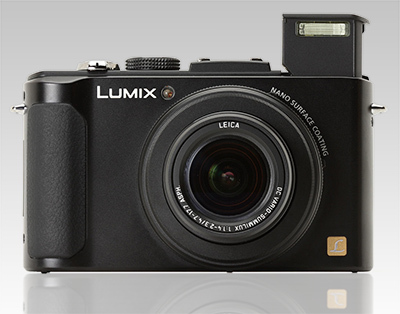 Digital Photography Review has published a full review of Panasonic's DMC-LX5 successor. "The DMC-LX7 is a mid-sized camera made mostly of metal. Build quality is good, though I wasn't a fan of the cheap-feeling rear dial, which doesn't turn smoothly. 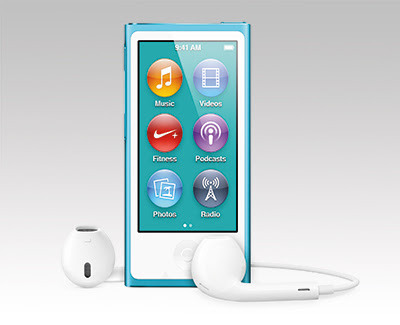 As is usually the case, the plastic door over the battery/memory card compartment is flimsy, as well." "The LX7 fits well in your hand, thanks to a right hand grip that's just right. The biggest feature on the camera is undoubtedly its F1.4-2.3, 3.8X Leica zoom lens (equivalent to 24 - 90 mm). This is the fastest lens you'll find on a compact camera. "Panasonic has put an aperture ring around the lens, which allows you to quickly adjust this setting when in A and M mode. The LX7 also features Panasonic's Power OIS image stabilization system, to reduce the risk of blurry photos and jumpy videos." "If you're a 'set it and forget it' kind of person, then look no further than Panasonic's great Intelligent Auto mode. It literally takes care of everything for you, whether its picking a scene mode, avoiding blur, handling back-lit situations, or intelligently sharpening an image." "Performance is top-notch in nearly every area. It starts up in just 1.1 seconds, focuses very quickly, and takes the photo as soon as you press the button. Shot-to-shot delays are minimal, even if you're using the RAW format or taking a flash photo." "Photo quality on the Lumix DMC-LX7 is excellent. The camera takes well-exposed photos, without too much highlight clipping. Colours are nice and saturated, and accurate in most situations (the LX7 still struggles a bit in artificial light)." "The LX7's lens is high quality, with good sharpness across the frame. The LX7 has very little noise and no detail smudging at low ISOs. It keeps noise levels low through ISO 400 in low light and ISO 1600 in good light." "Overall, the Panasonic Lumix DMC-LX7 is an excellent premium compact camera. Its fast lens, performance, and manual controls will make enthusiasts drool, while those just starting out can get great results using Panasonic's Intelligent Auto mode." Gizmodo has published a helpful article with step-by-step advice on transferring from Apple's iOS to Google's Android operating system. Worth reading the comments below for additional stuff. 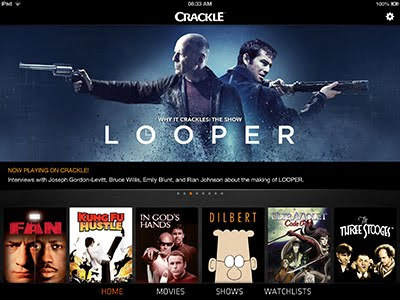 Crackle, from Sony, is a free universal iOS app that's built to stream free-to-view movies and TV shows. If you don't mind ads at the beginning and more in the middle of the programs and you're OK with the app's limited selection, it's worth a look. There's a smattering of good movies (The Gods Must Be Crazy and It Might Get Loud, for instance) and then there are a slew of Godzilla movies and martial arts movies that may or may not strike your fancy. The catalogue includes old Three Stooges shorts, and TV shows like Seinfeld. There are some nice features: closed captioning and AirPlay are both supported, and when you leave the app and come back your movie will resume playing where you left off. It worked well over 3G, and the films are licensed for Canada and the U.K as well as the US. Quality of the prints was good, as it should be from an app provided by a movie studio. According to equipment and sensor evaluation service DxO Mark, some smartphones take better photos and videos than their high-end compact camera counterparts. That claim does come with a bit of a caveat, though. 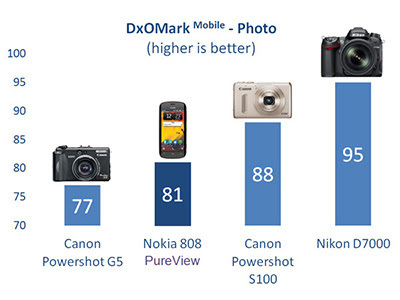 As shown in the diagram above, Nokia's 41-megapixel monster, the 808 PureView, outperformed Canon's PowerShot G5. But before you throw your compact camera in the bin, remember that the G5 is a camera that was released in 2003 — not exactly a contemporary competitor. What the testing does show is that mobile phones have come leaps and bounds, in terms of image quality. Another interesting revelation from the analysis is video performance, which is where mobiles are really starting to come into their own. When it comes to taking higher-quality HD videos, according to DxO Mark, the Samsung Galaxy S3 outperforms Canon's PowerShot S100 camera (which was released last year). 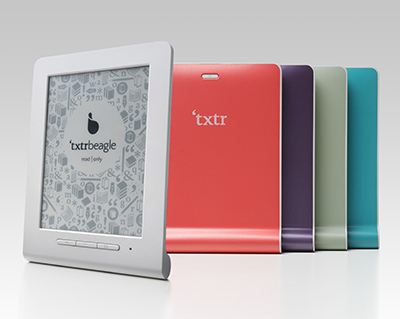 A German company called Txtr has announced plans to take on Amazon's Kindle range of eReader devices with a cut-price model of its own: the Txtr beagle, costing just €9.90. The beagle's screen is 5mm thick, swelling to a rounded base that holds two AAA batteries. The front of the device is dominated by a 5in E-Ink display with an 800x600 resolution, along with buttons to control the page turning and the selected book. The beagle comes with Bluetooth to pair with an Android smartphone. When a book is selected from the smartphone, it can be transferred across to the beagle's 4GB internal memory. Epic’s site creates oversized waveform images of famous speeches and quotes from the likes of John F. Kennedy, Martin Luther King, Albert Einstein, Ronald Reagan, and of course, President Obama and Mitt Romney. The stylish data visualisations are 1.5 feet tall by 4 feet wide, ensuring even the smallest inflections and changes in cadence are depicted. 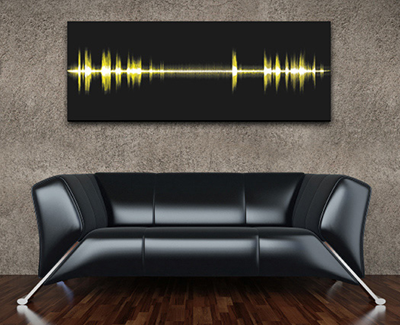 Co-founders Bill Seaver and Nathan Moore conceived the idea while discussing how a waveform of their podcast would make for an interesting conversation piece. Having design and marketing backgrounds, the pair realised people might be interested in audio files with more historical significance, and began curating and designing an initial assortment of celebrated aural images. They kept their original idea alive too; in addition to the famous recordings, they will also immortalize less-iconic moments, like your podcast, wedding vows, or favorite catchphrase. 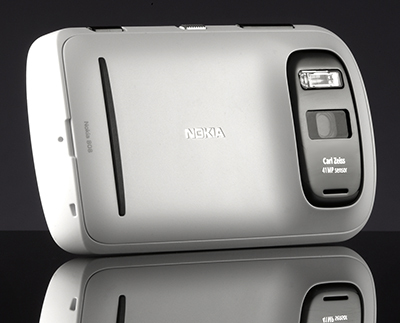 Register Hardware has published an article looking at Nokia's 42Mp camera technology. I have to say that despite its photographic excellence as a phonecam, I will not be rushing to trade in my iPhone nor my camera for a Nokia 808 PureView just yet. The camera and the PureView technology are very attractive but the Belle OS puts me off making such an investment. For now though, if you're looking for a quality camera on your mobile, the Nokia 808 PureView is the best you can get. 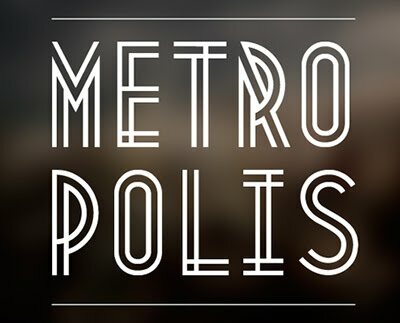 Metropolis 1920 comes from the industrial movement of the 1920s where skyscrapers where born. Using a double line technique, I wanted to create my own Art Deco style font that represented this era. 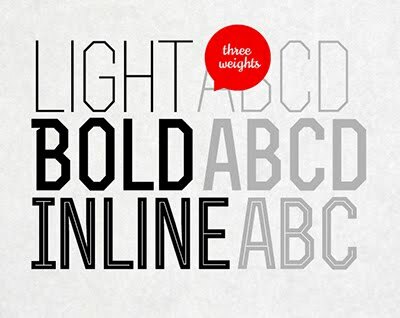 The result is a bold, bumptious typeface with a stolidly calm disposition. The Nimbus Cloud Dome is a plastic bell-shaped light diffuser designed to allow you to capture evenly-lit images of small objects using a smartphone. The Nimbus Cloud Dome is available on its own for $79 or as part of the $149 Nimbus Cloud Dome Horizontal kit, which is what I recieved for this review. The Horizontal Kit includes the Nimbus Dome Photography Base and Nimbus Cradle for holding the apparatus horizontally. All three pieces are constructed of a high impact, non-yellowing, crack-resistant translucent plastic. The top of the Nimbus Cloud Dome is equipped with a trio of spools that hold a thick elastic band. This elastic band securely pins a smartphone in place. Overall, I was impressed with the performance of the Nimbus Cloud Dome after I got the kit dialed in. However, certainly with the iPhone 4 that I used for this test, I found that it was necessary to do a bit of tinkering to find the ideal lighting setup. 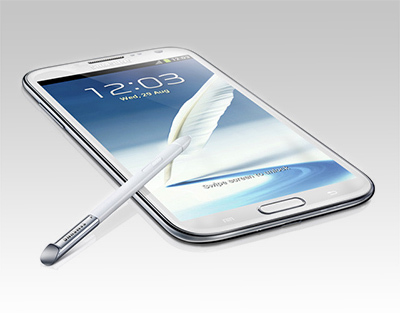 Register Hardware has published a gushing review (95%) of Samsung's phone/tablet hybrid. "For a pound less than a 16GB iPhone 5 with its piddly 4in screen, terrible maps app, dodgy Wi-Fi reception and scratch-prone body, the Galaxy Note 2 is something of a bargain if you are after the ultimate mobile phone. It has the physical presence of an A380, the power of Concorde and the stamina of a U-2, and is packed with more features than a Swiss army knife." 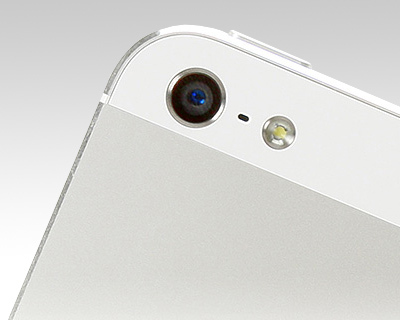 Digital Photography Review have published an impressively objective review of the iPhone 5's image capture performance. "The iPhone 4S and iPhone 5 offer genuinely useful image quality that, in favourable conditions, is hard to tell apart from the output from 'proper' cameras." "The iPhone 5 is a fine mobile device, with an excellent camera. In qualititative terms it's not the best camera out there, and nor is it the best camera on a smartphone (the Nokia 808 has that honour) but it offers satisfying image quality, some neat functions like auto panorama and HDR mode, and it is supremely easy to use." "It isn't much better than the iPhone 4S, as far as its photographic performance is concerned, but it isn't any worse (notwithstanding a somewhat more noticeable propensity towards lens flare)." "When manufacturers employ pixel-binning to achieve higher ISO settings we don't normally celebrate the fact, but in the case of the iPhone 5, it gives you greater flexibility in poor light and the drop in quality is unnoticeable when the images are used for sharing/web display." 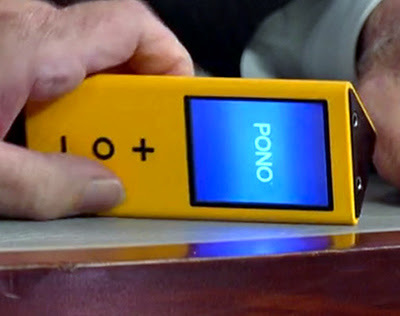 Neil Young has appeared on the Late Show with David Letterman to promote Pono, a high-quality digital music service that will launch next year. Rolling Stone reports that Pono will be comprised of a music downloads store, a tool that converts digital audio files into analog-sounding recordings, and a series of audio players. It's a bright yellow triangular prism with a small screen and simple controls. The player will, according to Young, play back Pono master files with "the best sound anyone can get." Red Hot Chili Peppers bassist Flea got a first-hand demonstration of the service in Young's car, and told Rolling Stone that "it's not like some vague thing that you need dogs' ears to hear. It's a drastic difference." Warner, Sony, and Universal are reportedly all on board, and while you'll have to re-buy songs if you want to hear them in their high-definition glory, the Pono devices will also play back tracks bought from other digital stores. Rex is an all caps display family with three weights – light, bold and bold inline. Available for personal and commercial use (read the EULA).